At the SICAM in Pordenone, Häfele will be demonstrating how furniture and rooms can be transformed by intelligent use of light in the furniture, how they can be adapted to the current needs and wishes of the users, the time of day, your rhythm of work and even life itself, and how many different kitchens can be conjured up from one kitchen in the blink of an eye. Cleverly networked, pre-installed scenarios which can be called up at the push of a button are playing an increasingly important part. With a targeted composition of furniture lighting, sound and functionality, the user becomes the designer of his living world, changes its appearance, and changes its character. In the future, this will not only be possible using the familiar Häfele Connect App for smartphone and tablet, but also with consummate ease using the battery-less Häfele Connect radio wall switch, which is programmed using the app, and which is the latest new product which will be on the smart trade fair booth of the international hardware technology specialist in Hall 2, Booth A10/B11. This will all be on view at regular intervals in live shows on the example of a smart kitchen. The trick: That which we are exhibiting isn't just pie in the sky – it can be ordered directly from Häfele and implemented in the plans of its partners. It is also much sought-after by end customers, simple to install and child’s play to operate. The furniture industry is reacting to the spirit of the age with smart solutions such as this, and is underlining its innovative power and expertise. Furniture technology – A holistic view. This is how the company impresses its visitors, and becomes a fountain of ideas for new market opportunities for its partners. 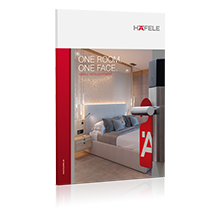 On the one hand, the fact that Häfele thinks holistically is clear from the wide range of hardware solutions for all furniture construction requirements – from building to opening, and also the outfitting and electrifying of furniture. On the other hand, a holistic view is an important prerequisite for the successful development of hardware technology together with customers. “Easiness. 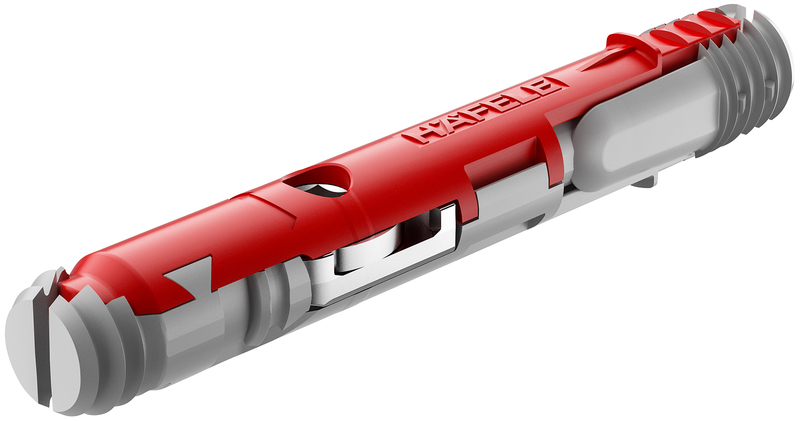 Engineered by Häfele” – this motto is a program, because Häfele fitting technology is developed and positioned on the market to make life easier for manufacturers and consumers: easier to choose, to order, to process and, of course, in their use. A comprehensive range of services and the advice from the Häfele Key Account Managers in the EWW industry division generate trust. Häfele will be exhibiting its latest products and smart solutions in the areas of light, sound, furniture connectors, cabinet systems, sliding and flaps. Light, sound and Smart Home have become a best seller in the furniture industry. The comprehensive Loox LED lighting system from Häfele and the supplementary range of sound and entertainment components is making these two worlds merge together. It has become a door opener for Smart Home together with Häfele Connect. 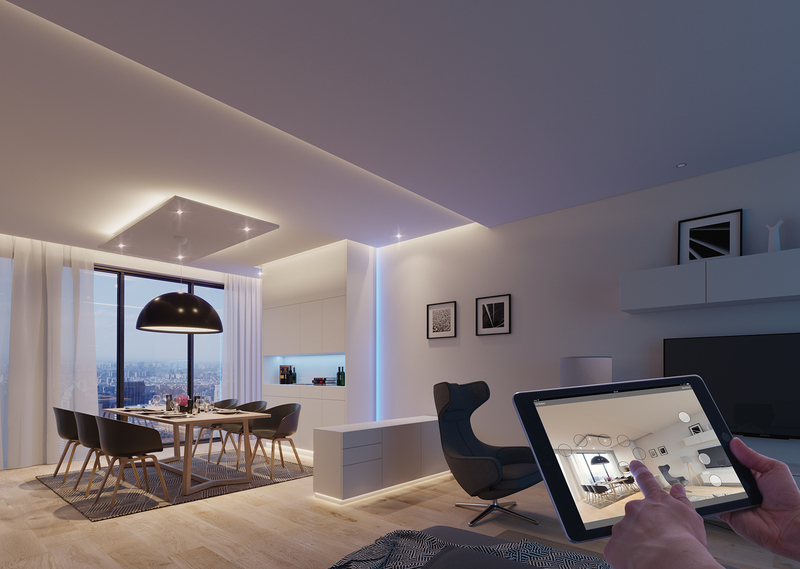 The BLE boxfor controlling furniture lighting and electrically operated fittings provides access to Smart Home experiences using the app and radio wall switch. The highlights in the lighting product range are the modular LED lights with different light intensities and colours for living and office areas. Ultra-flat, dimmable down lights with the impression of a recess mounted light, extremely powerful recess mounted lights and surface mounted downlights and Loox LED strip lights for different lighting moods are particularly in demand at the moment. The wireless and battery-less Häfele Connect BLE radio wall switch, which is being exhibited for the first time, is incorporated in the Häfele Connect App via an interface, and is also programmed with the app. Scenes, animations or individual BLE boxes, for example, can also be conveniently controlled without mobile devices in this way. The Free flap fittings are available for every conceivable kind of opening or weight class. Free e-drive, the electro-mechanical movement support for the entire application area of the Free flap fitting family impresses with its gentle movements and its ease of installation and programming. Häfele Easy Storageis a complete system for organizing cabinets and open walk-in closets. Whether pull-outs or belt racks, whether it’s a shoe rack or trouser rack, everything is possible with this system, in one consistent design style and a single pattern. All elements can be assembled and disassembled without tools using the Easy Storage connector, an interzum award winner in 2017. Plug in – fold down – done! 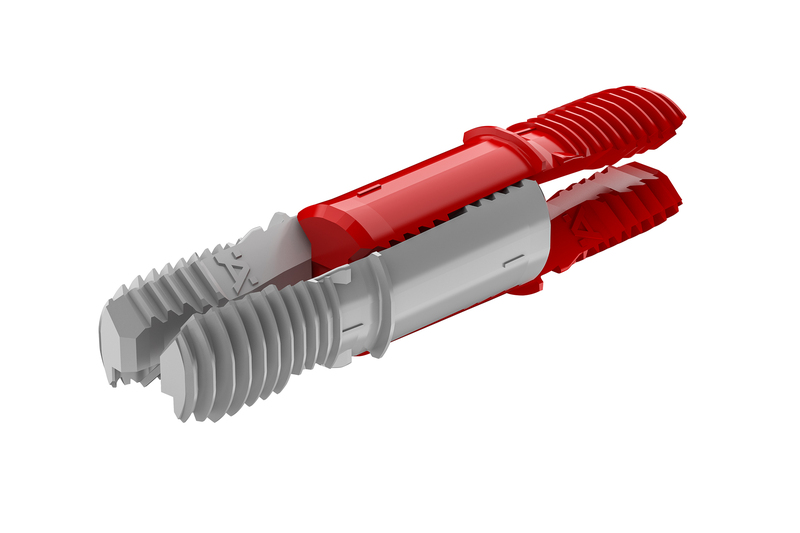 This reduces assembly time by 50% compared to screwed connections, and represents the heart of the system. Simplicity and speed during assembly also distinguish the Ixconnect spreading connectorsfrom Häfele: The invisibly mounted SC 8/25 for the assembly of lightweight furniture is used with standard 8 mm holes. It connects furniture without tools simply by pressure. For this, it received the interzum award “Best of the Best” in 2017. The one-piece SC 8/60remains almost completely invisible in the furniture. It is designed especially for larger furniture using clever technology and creates new design and construction possibilities for the industry. The multi-functional Häfele Aquasys bathroom mirror combines light with controls, demister and sound in one product, featuring intuitive operation via design touch keys or, for the sound via app as well, remote controlled via tablet or smartphone. The Häfele Slido sliding door systemis equipped for all areas of application with Smuso all-round damping (soft-closing, centre door soft close, soft opening and collision damping). This protects the fittings and the cabinet structure. The Moovit MX drawer systemhas become even more convenient and flexible with new fluid dampers and new drawer side heights. The Häfele Axilo plinth adjusting fitting systemis the extended lever for cabinet levelling in the kitchen. The adjustment of the cabinet feet is done ergonomically and back friendly from the front, with simultaneous monitoring of the level. This reduces the assembly time by up to 50%. The Häfele exhibit at Sicam is a traditional meeting point and an innovative marketplace for the industry. The exhibition team is looking forward to having a full house. Trade fair première at the Sicam in Pordenone – the completely maintenance free, battery-less Häfele BLE radio wall switch. It can be used to control light, light scenes, animations or individual BLE boxes in accordance with previous programming in the Häfele Connect App at the push of a button. 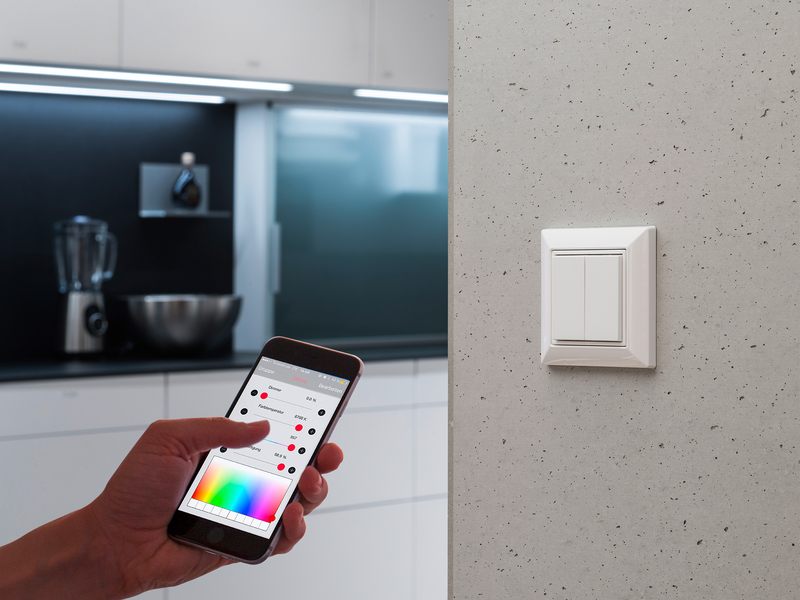 The updating of many products and the Häfele Connect App have turned the Loox LED light system into a door opener to the smart world of furniture and rooms. 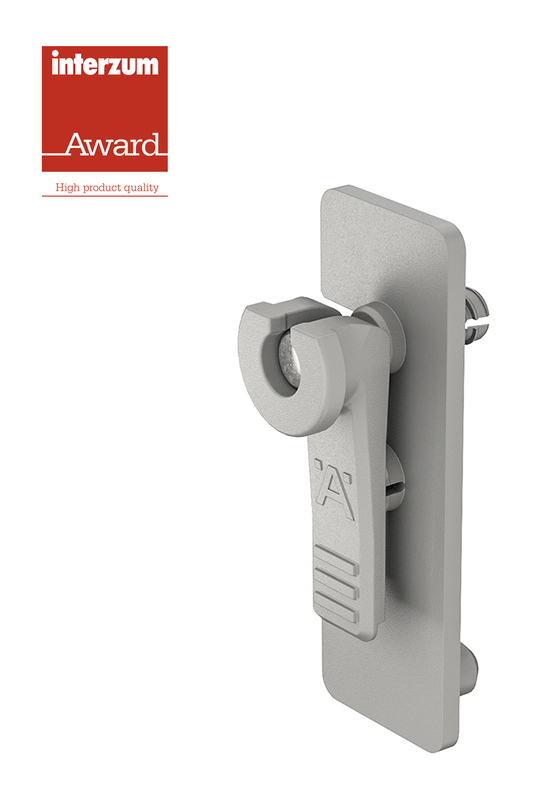 The Ixconnect spreading connector SC 8/25 for assembling lightweight furniture, which can be installed invisibly without tools, won the 2017 “Best of the Best” interzum award. The one-piece ixconnect SC 8/60 spreading connector remains almost invisible in the furniture. It is designed especially for larger furniture using clever technology and creates new design and construction possibilities for the industry. The Easy Storage connector reduces assembly time by 50% compared to screwed connections. It is the heart of the new Häfele system for organizing cabinets and shelves from a single source.